Computer Science student launches UK-wide app: Shrowze. Computer Science student Nnamdi Ekwe-Ekwe launches a UK-wide app today, that frees up your time to do what you want to do rather than what you have to do. Shrowze is an app that provides everyone with their own human personal assistant to help them with whatever they need to do. It is the Human Personal Assistant you summon by text. With Shrowze, whatever it is you need doing, whatever it is you need getting, from wherever in the world, their team of human personal assistants can help – all you have to do is send a text. Shrowze has been trialed over the past 6 months with the general public and with students, receiving great feedback. Shrowze is now live for all users across the country. For the next two weeks, anybody who signs up with Shrowze, will get 1 hour free time to have access to their own human personal assistant. Additionally, all students get a special 50% discount for as long as they are a student to use Shrowze. 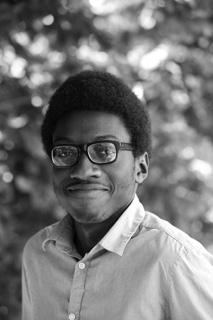 Nnamdi Ekwe-Ekwe completed his undergraduate degree at the University of Leicester before studying for his Masters in Advanced Computer Science at the University of St Andrews and is currently a PhD student with a focus on Cloud Computing. Text and images courtesy of Darcy Roberts, Communications Team, Shrowze and Nnamdi.